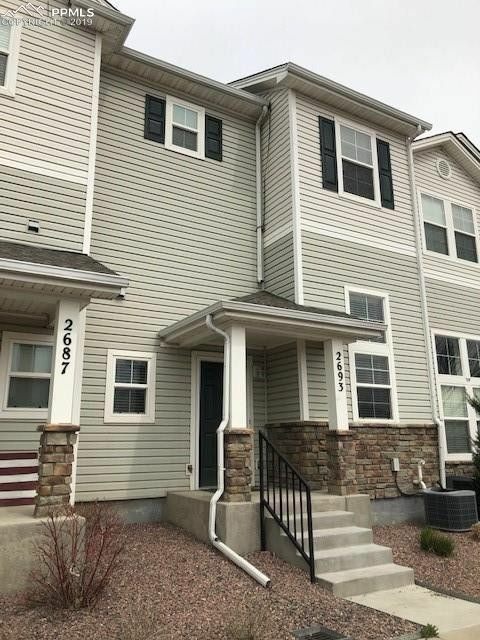 Beautiful 3/3/2 Townhome! Nicely upgraded with 18 tile, 42 kitchen cabinets, tile backsplash~High efficiency furnace and central air! All kitchen appliances included. Convenient upper level laundry~5 pc Bath in Master Bedroom & all ready for you! Super location, minutes to Carson, Pete, B'moor, I25, downtown. 2 car garage and storage in crawlspace plus there a storage closet off the covered deck. Beautiful tile in all wet areas. Super location with convenient parking nearby and backs to single family homes!